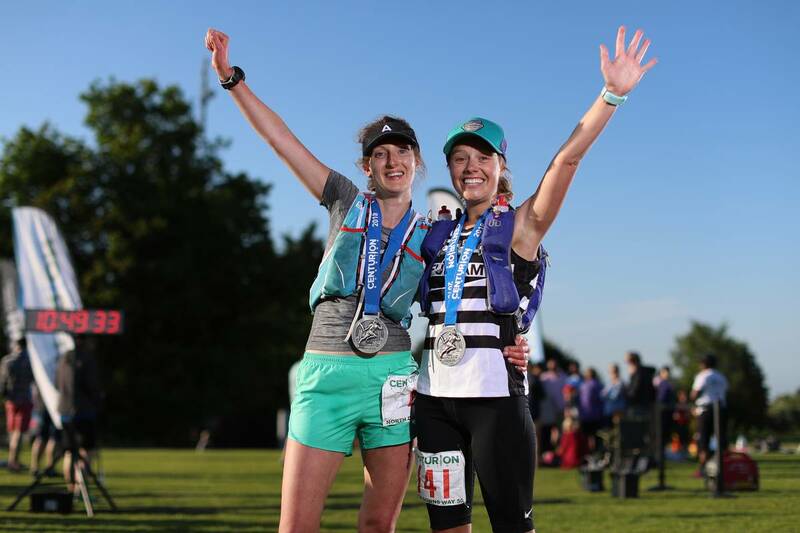 The longest race report for the longest race I’ve run, is that fair? For the prequel to this story, have a read of my preparations for this race and then let’s start at the beginning. 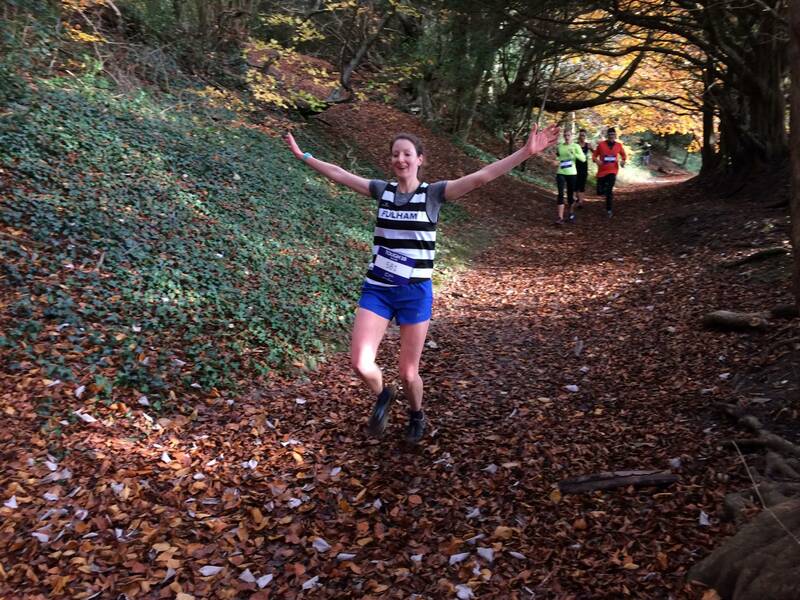 Words from Steph that, quite simply, carried me to mile 24 of the North Downs Way 50. I stood on the start line with my Fulham Running Club family – Emily, Paul, Bob, Richard, Kim, Emma, Chris, Justin and Ilsuk. 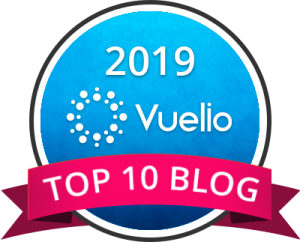 My strategy was take the first half easier than easy, slower than my slowest, and use it to catch up on five months apart from my running family – Emily and Paul’s wedding, Justin’s engagement, Bob’s training adventures and Kim’s upcoming move. All a good distraction from a long run and an even longer run to come when I got to half way. 10 minutes/mile or so – with a few minutes of cushioning for stops at aid stations and a few more for a slower pace walking up the hills – would bring me to Steph at Boxhill stepping stones around 12.15pm. 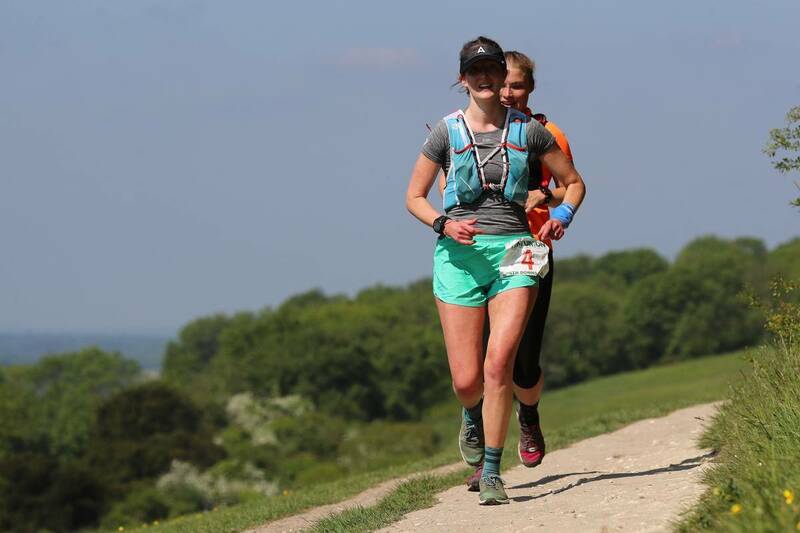 As I hugged Maddie and Daphne before crossing the busy A24 to greet the FRC-manned aid station at Boxhill led by Sydnee I was running side by side with Kim. 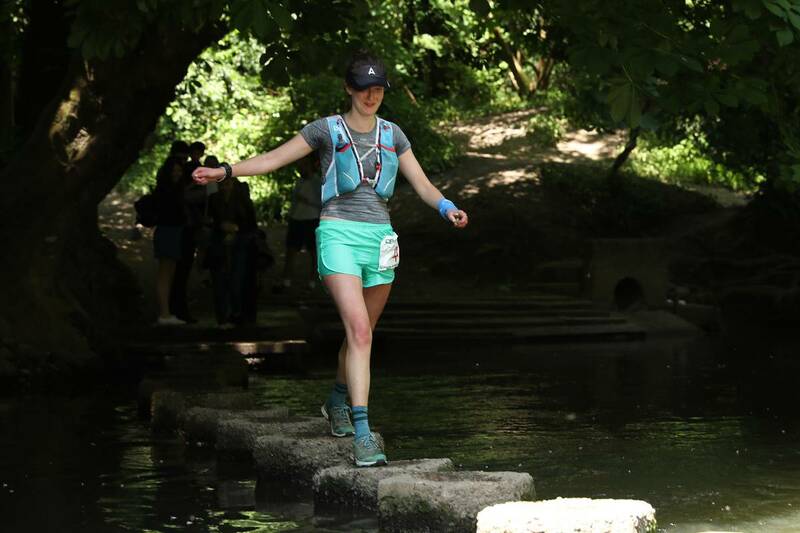 I crossed the stepping stones, looking up towards the photographer, and watermelon-in-hand began to walk to the bottom of the climb when I heard the familiar voice of Steph shouting to runners to ‘duck’ for low-hanging branches on the route. Bang on target we met and as I directed her to reach inside my race pack for her wedding invite we exchanged stories – mine from the last 25 miles and hers from the (un-royal) wedding where she’d been bridesmaid and cake baker. 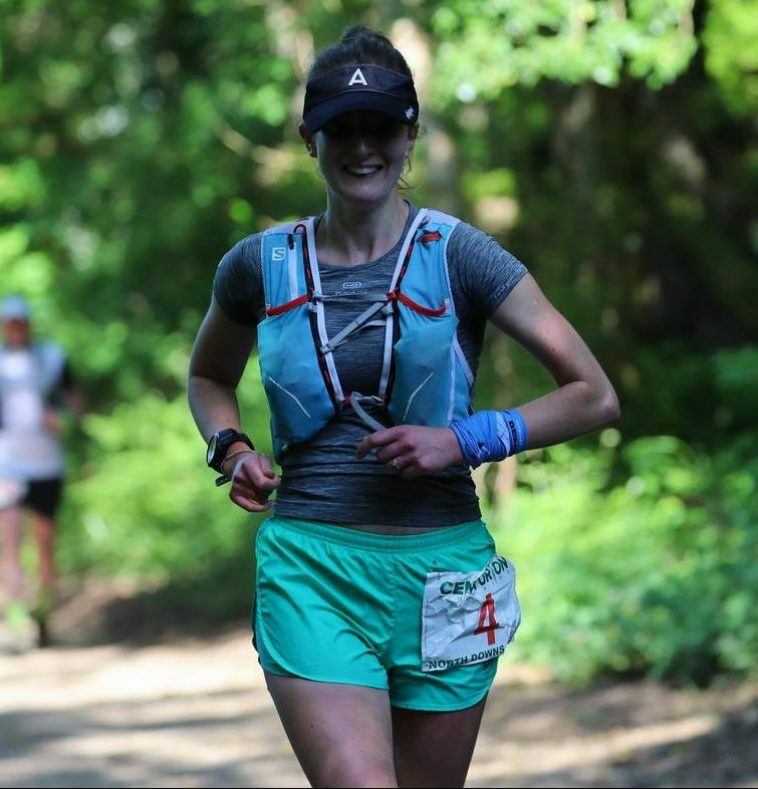 At the top of Boxhill I gave FRC Captain Andy a big sweaty hug before together Steph and I moved quicker towards Reigate, the next aid station and where she’d parked up and run towards me. Running with Steph relaxes me. 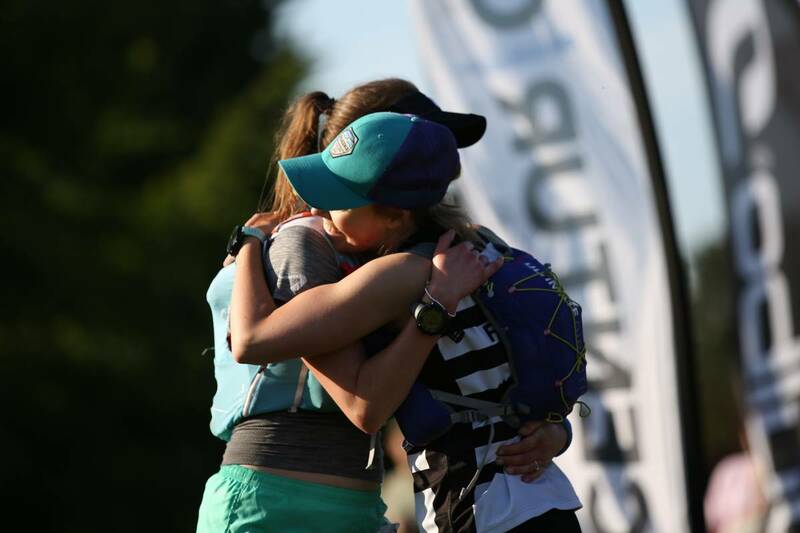 I know I’m going to be ok. We’ve run many 50km races together and we know when to chat, when to listen, when each other is or isn’t drinking or eating and when all we need to do is put one foot in front of the other and look around us. Kim caught up with us again and it was our little trio, forging together into soon the unknown. 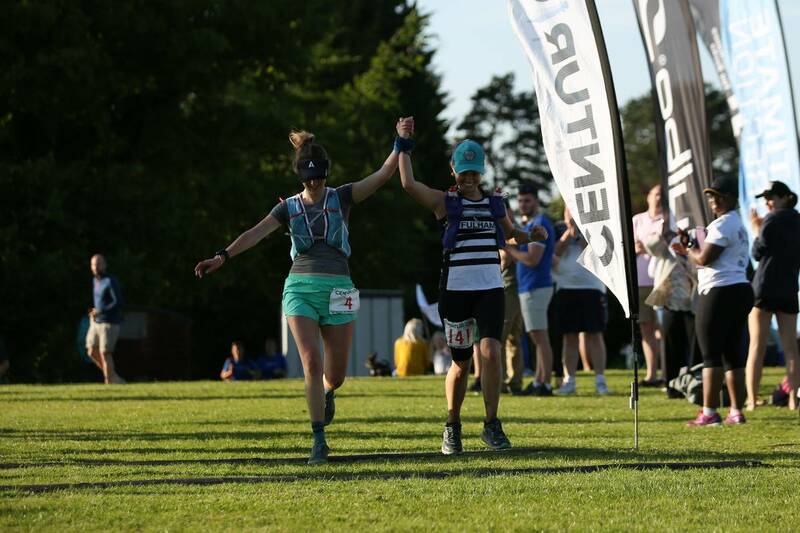 At Reigate – 31 miles in, 19 and a bit to go – Steph ran ahead to the car as we refilled our bottles at the aid station. She laid out our picnic spread – fresh melon, nuts, energy bars, coke and my requested Marmite sandwiches for lunch – and I thanked her, stuffed a lemon drizzle nkd bar into my pack and began walking with my sandwiches on my way. 19 miles on my own to the finish but I was prepared for this. I broke it down. I’d run this far before, up until 38 miles, so everything beyond that was a bonus and special. Get to 38 miles, then another few to the last aid station with the big hills behind me and I’m sorted. Enjoy it. 31 to 38 miles. I tried to remember where I was. I’d recce-d this before but a long time ago. I tried to remember milestones, views, trees, houses, hills, anything. Nothing. Where was I? Where was everyone else? Had I gone the right way? Was I on the trail? Runners. Acorns. Follow the white acorns Amy. Look down at your wrist. Not the watch, don’t focus on the time. The bracelet. A memento and good luck charm. An acorn. Look at your left hand. See the ring? Do it for Nigel. He would be so proud. He is proud. Keep going. 38 miles. 38.1 miles. This is it. New territory. Your legs don’t know what this feels like. New legs. Let’s pretend these are new legs and the race has just started. Keep running. Keep moving. Walk if you have to. I hate tarmac. Why is this road here? Do I have to run on the road? I miss the trail. Don’t make me run on the road. My feet hurt and I don’t like the road. I’m a trail runner. I know this hill. Botley Hill. People talk about this hill. The highest point of the trail. One last uphill. You can do hills. Go. The final aid station. Everyone is here! Justin! Bob! Where is Kim? She’ll catch me. Eat and go. Thank you but no, I don’t want pizza or an ice lolly. 41 miles, 9 or so to go. Remember they told you it’s not 50. It’s more. Don’t kid yourself. Save your legs. Field after field. Through one gate, round the corner to the next. Tarmac again. My feet refuse to run. I power walk. Kim passes me. I keep my eye on her. I find trail again and then Kim. 5 miles to go. Not even two parkruns. How many laps of Bishops Park is that…5,6,7? Kim and I carry each other. We know in each other we’ve got this. We can make sub-11 hours. Anything starting with 10h. I miss Steph. I look at my phone and she’s walking towards us from the finish. The closer we get to the finish line the sooner we’ll see her. More fields. Long grass. It’s hot. Was it always this hot? I start to think about my recovery – the chocolate soy milk that’s in my bag at the finish, sitting down, the huge medal. The glory. We see Steph. We’re less than 2km from the finish. We walk. Steph guides us and as we pass through the last field we look across to see the finish, walking through the final gate then together with Kim we run. Past the pub. Up the hill. Up the grassy slope. We see the finish line arch. We hear the cheers. I reach to grab Kim’s hand and together we cross the line. 50+ miles. 10:48. Done. I felt elated. I’d done it. My body and my mind had carried me all of 50 miles from Farnham to Knockholt along the North Downs Way trail. You don’t think it’s possible until it’s achieved. I believed and doubted. I had support – physically and mentally throughout – and that’s what kept me going. This was a race with myself and I won. Previous Post Edinburgh Running Festival eats!